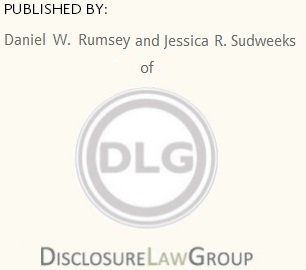 Nicole E. York is the Director of Client Services for SEC Connect. Ms. York was SEC Connect’s first hire in 2007 where she manages SEC Connect’s relationships with its clients. Ms. York is also directly responsible for SEC Connect’s client service team, maintaining client communications, and developing and executing departmental procedures. Ms. York’s experience includes working with thousands of client filings, client support in both coordinating the filing of periodic and other reports with the Securities and Exchange Commission, the implementation of the new XBRL financial reporting standard for public companies, and management of the HTML and XBRL conversion team processes. 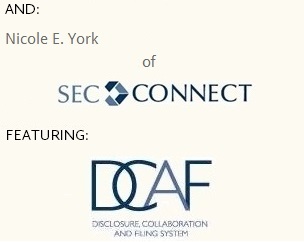 Ms. York was involved in the development of SEC Connect’s Disclosure, Collaboration and Filing (DCAF) platform, a web-based EDGAR filing system developed by SEC Connect to simplify the reporting process for the most commonly filed SEC reports. In her senior position, Ms. York also continues her commitment to the further development of DCAF, provides DCAF training, and assists with the onboarding of new DCAF clients. Early in her career, Ms. York was a Corporate Accounting and Reporting Specialist with Thomson Reuters, implementing accounting, auditing, financial reporting, and productivity solutions for both public and private companies. Ms. York earned a Masters of Business Administration degree from New York Institute of Technology, and a Bachelor of Arts degree in Business Management from Michigan State University.